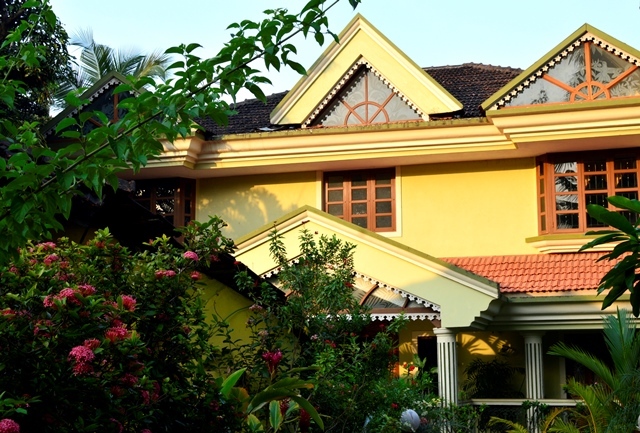 Goa, once a Portuguese province, is known for its colonial past, grand churches, temples, vibrant beaches, exotic cuisines, and unique culture that showcases music and art. 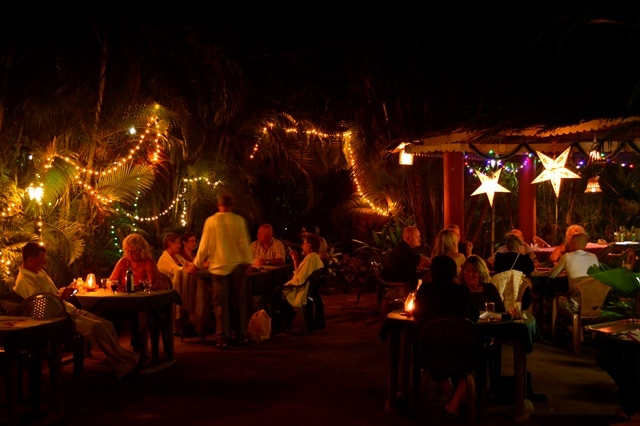 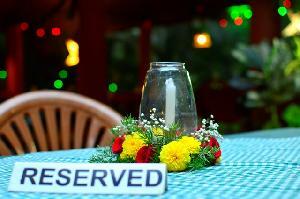 With a welcoming and relaxed environment, Goa truly offers its visitors a unique holiday experience. 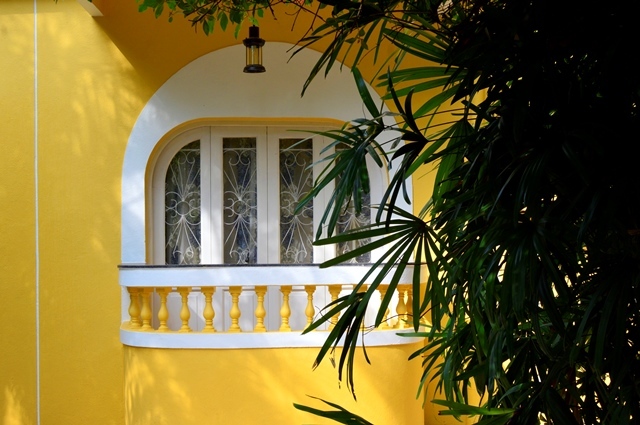 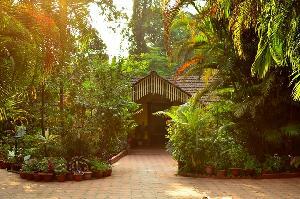 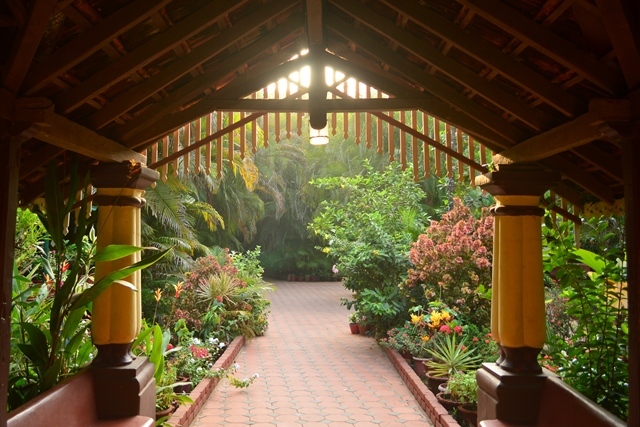 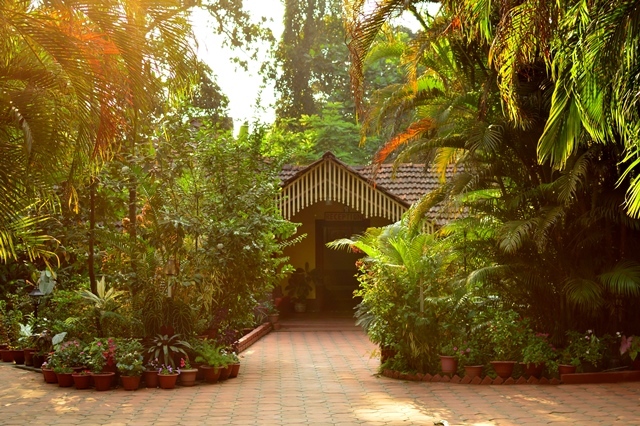 Palm Grove Cottages – Leisure Resort, an ancestral home converted into a hotel in 1981, features a Goan-Portuguese ambiance. 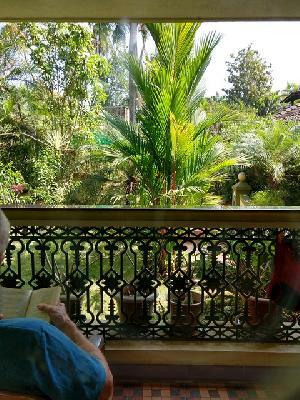 Set within 1.2 acres of landscaped garden, one could spend the day by reading a book from our library, lazing around in your private balcony or simply keeping in touch with friends via the provided Wi-Fi facility. The well-appointed and spacious rooms offer views of the garden. 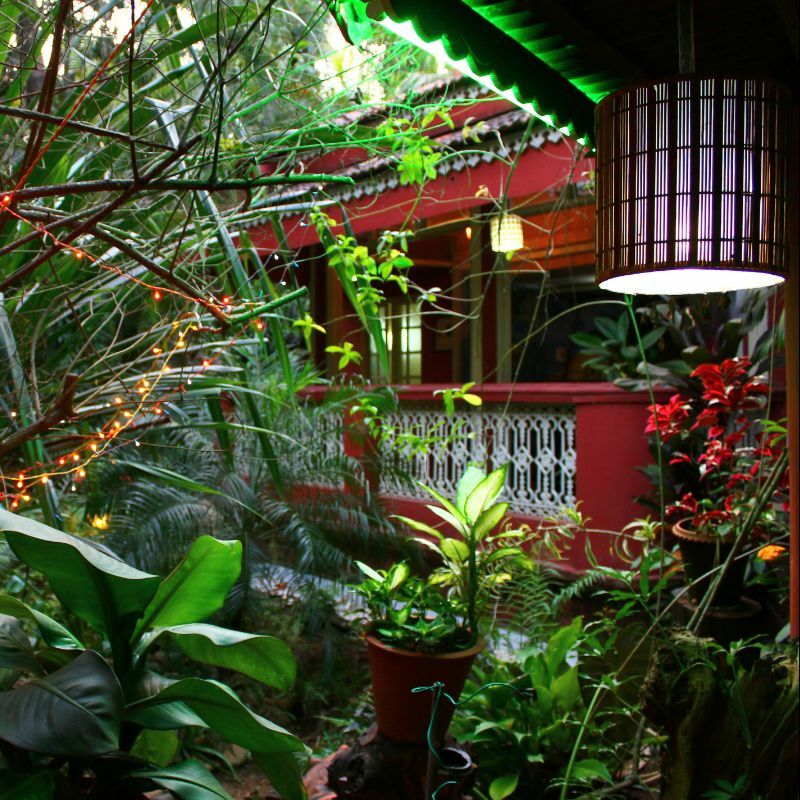 The bathrooms have walk-in showers that are powered by solar heaters. 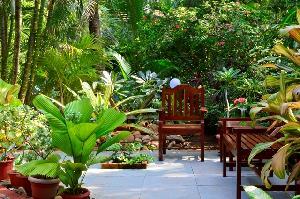 Wi-Fi access is provided in all rooms as well as common areas. 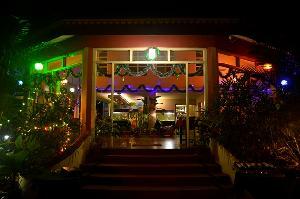 We are a 15-minute walk from Benaulim beach. 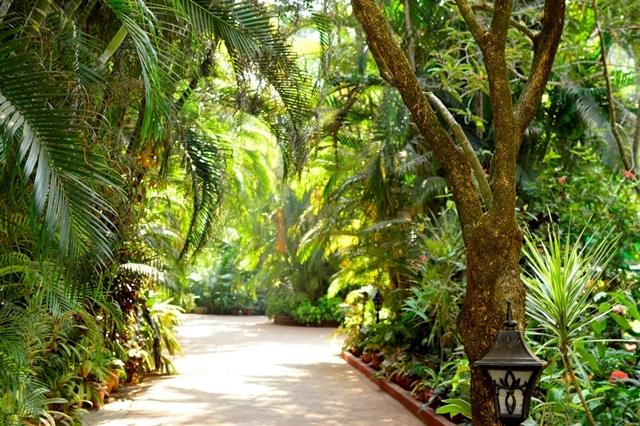 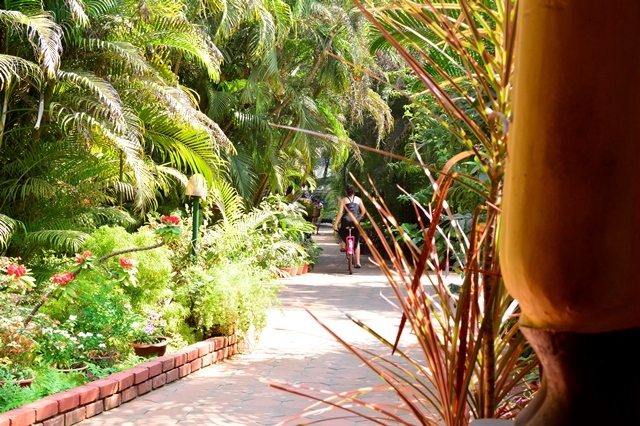 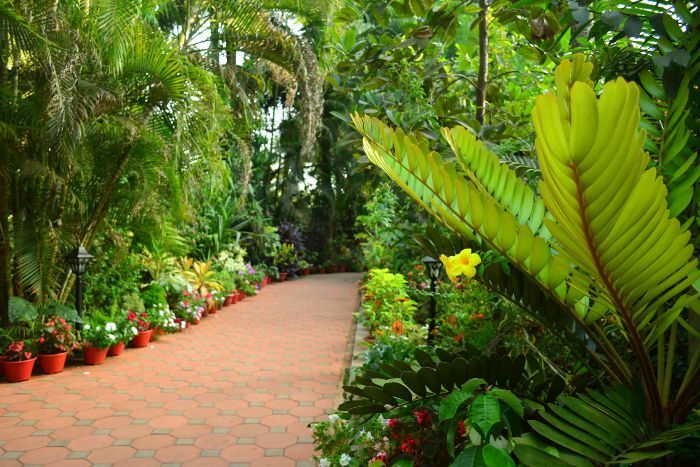 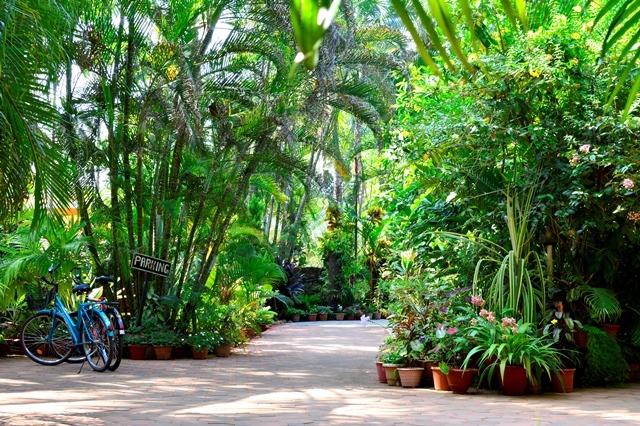 Enjoy our little botanical garden showcasing a wide variety of flora while you listen to the birds. 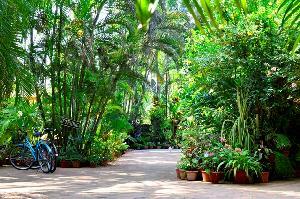 If you feel energetic, tours can be arranged to explore Goa and its beauty. 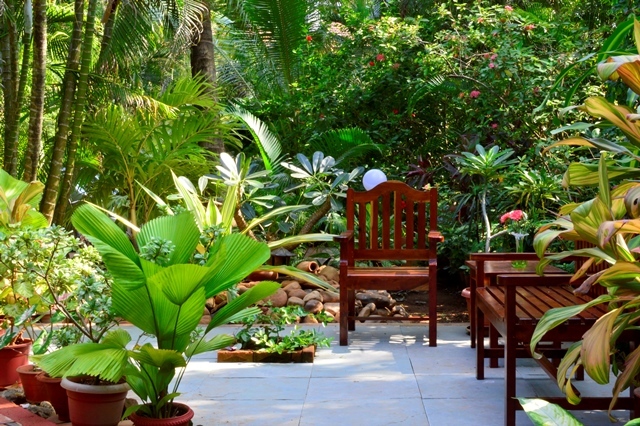 Palm Grove Cottages – Leisure Resort will intrigue guests who are looking for a holiday where they can relax and get away from the hustle and bustle for a while. 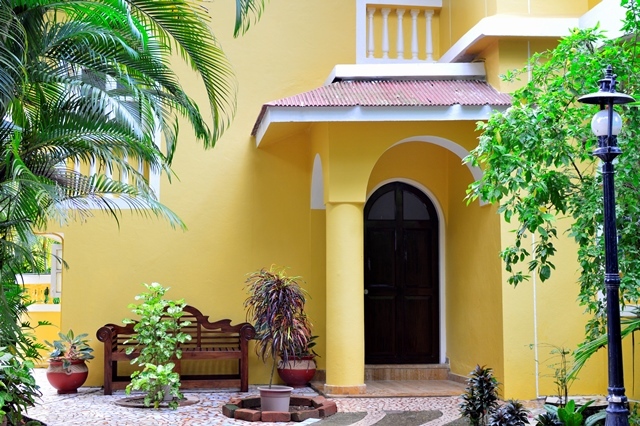 Bedrooms to choose from double or twin, these rooms are equipped with a fan and an A/C. 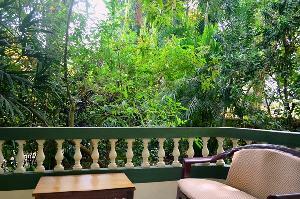 Attached bathroom with hot and cold shower and a balcony overlooking the foliage accommodates outdoor sitting. 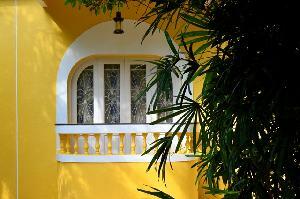 The decor in these rooms has been carefully selected and differs in each and every room. 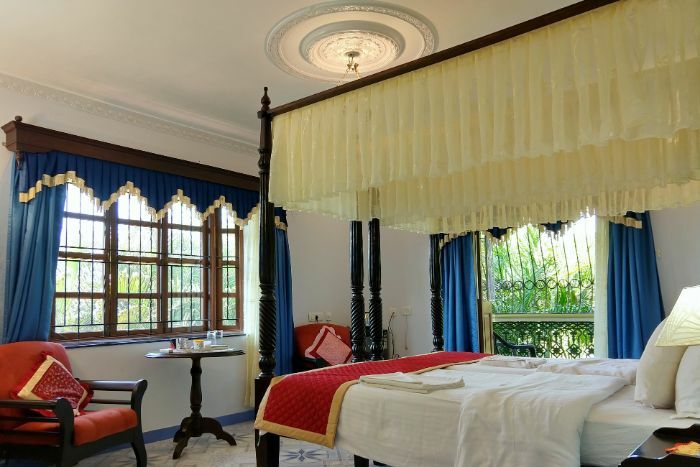 These rooms are equipped with spacious bathrooms that use solar power to ensure a hot shower after a relaxed day. 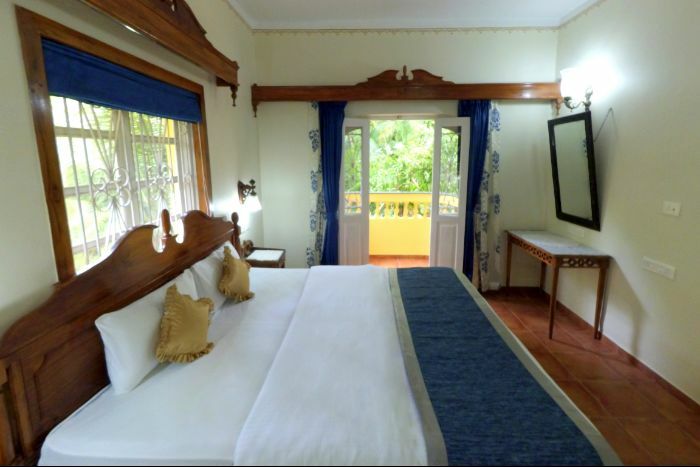 Lovely family atmosphere with king size beds. Comfortable and cozy rooms at Palm Grove Cottages Benaulim Goa. 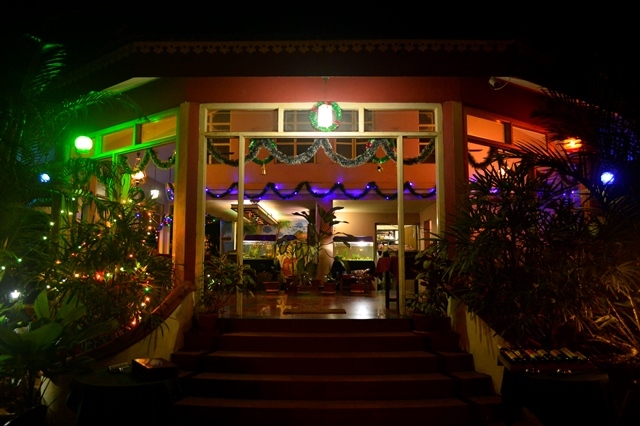 An al fresco restaurant surrounded by lush garden serves a blend of local Goan, Indian, European cuisine and specializes in seafood. 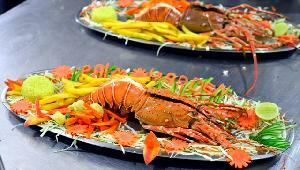 Cooked with love and the catch of the day, we at Palm Garden welcome you.